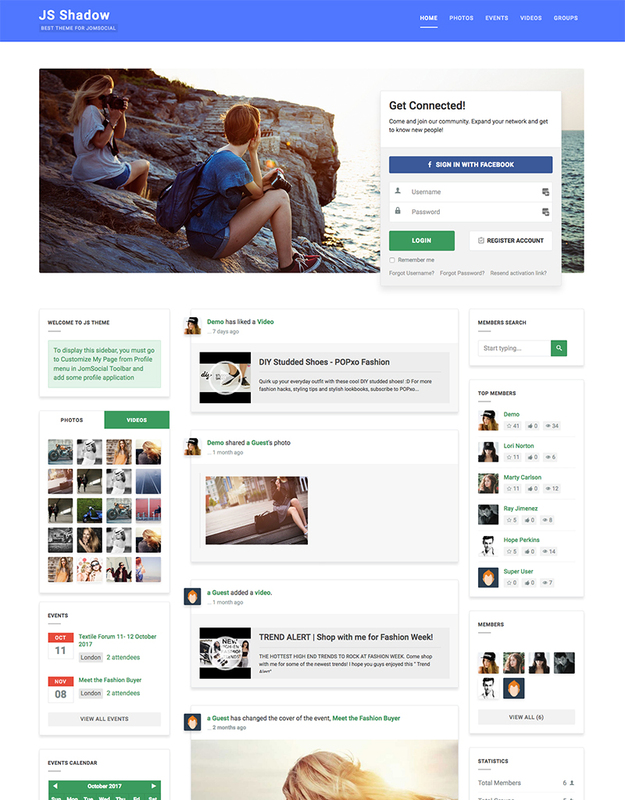 JomSocial Column Theme brings users totally new look and feel for your Social website. All you have to do is copying the theme folder to the "template" folder of JomSocial and select it as default theme. Column theme focuses on improving all JomSocial pages style to make it clean and more attractive. Since all style is stored in independent folder so you can find and customize easier. 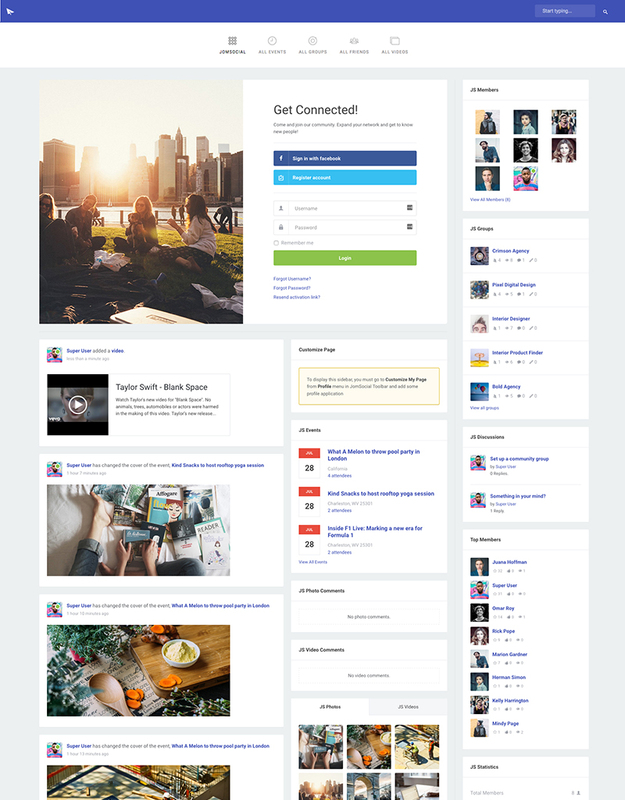 JomSocial Kikiriki Theme gives you the other look and feel for your JomSocial website. All you have to do is copying the theme folder to the "template" folder of JomSocial and select it as default theme. 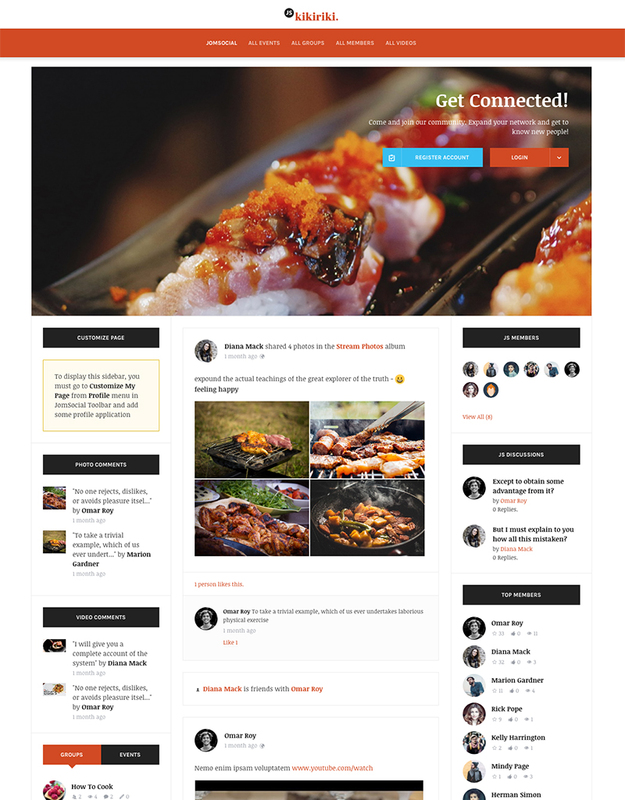 JS Kikiriki theme focuses on improving all JomSocial pages style to make it clean and more attractive. JomSocial Shadow Theme comes with shadow customized styles for a JomSocial website. All you have to do is copying the theme folder to the "template" folder of JomSocial and select it as default theme. JS Shadow theme focuses on improving all JomSocial pages style to make it clean and more attractive.